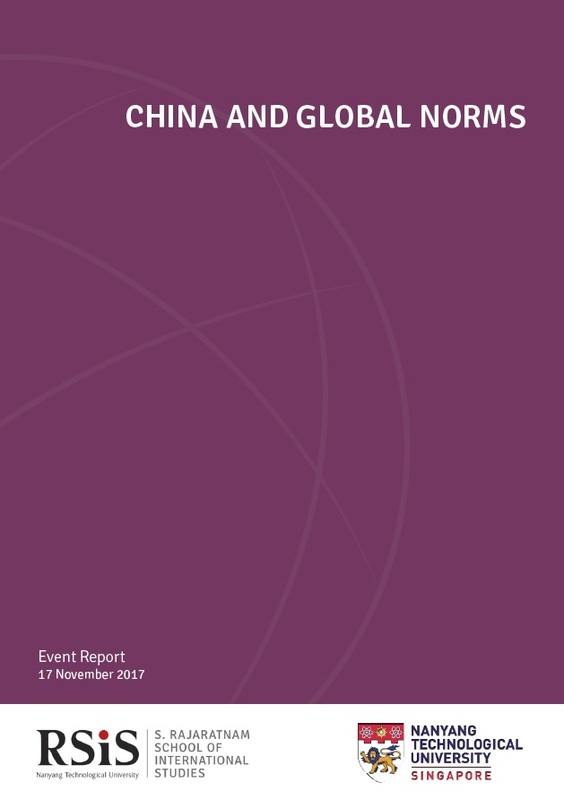 How has China respected, resisted, and reformed international norms in global governance? To what extent is China a “responsible” actor? And how does it work with major international institutions? These questions were the focus of the China Programme’s November 2017 conference, which brought together a diverse group of nineteen scholars hailing from China, the U.S., Australia, the U.K., and Singapore. It is proposed that scholars and policymakers stop thinking of global order in terms of polarity; instead, they should focus on functional, issue-based leadership across the international system. Practically, this means the U.S. and other Western nations might continue to be the agenda-setters on some issues; while China exercises leadership in other issues. China simultaneously seeks to respect, resist, and reform different aspects of existing regimes. For example, despite its own problematic human rights record, China has managed—by facilitating the creation of the Universal Periodic Review in 2005-2006—to reorient the global human rights regime away from the singling out of specific abusers. In another example, China’s investment and development assistance have selectively conformed to international norms, and, at the same time, challenged the ways of traditional investors and donors. Even so, some questions remain zero sum, as the case of the Asian Infrastructure Investment Bank seems to demonstrate. China’s initiative was interpreted as a challenge to America’s dominance of the international system. Reform of the Bretton Woods Institutions, the World Bank and International Monetary Fund, is also zero sum, and is seen as nearly impossible to achieve. Consequently, since global reform has stalled, China is increasingly focusing on creating new organisations and initiatives (e.g., financial credit agencies) through which it can project its influence and pursue its interests. China can proceed with less constraint when all that is required is inventing something new, but with respect to issues such as the UN Convention on the Law of the Sea (UNCLOS) and global internet governance, China’s influence and its prospects for normative reform are much more limited. Some issue areas are more ambiguous. On anti-terrorism norms, China is seeking to redefine them in a way which is congruent with its socio-political campaign against the so-called “three evil forces” (terrorism, ethnic separatism, and religious extremism), but the lack of clear global standards and America’s own un-exemplary record make the issue less than black and white. China’s nascent refugee policy neither clashes nor coheres with “global norms” because Western states have staked out a variety of positions, from welcoming Canada, Germany, and Sweden to hostile America, Poland, and Hungary. China’s burgeoning entry into the global credit rating marketplace also fits the mold. In the fields of human rights, humanitarian assistance and refugee accommodation, China’s general position and core principles have not changed significantly. However, the political will to actively participate in international agencies’ effort in relief delivery and provision of developmental aids has emerged from the top level of decision making in China. Moreover, China’s participation in global health governance is a good example that China converge with the U.S. in how to proceed with global governance mechanisms. After the New York Declaration in 2016, the normative gap between the new principles endorsed by the U.N. and China in the field of refugee issues is also narrowing. After year’s learning, China not only has started development assistance, but also launched a wave of new projects that involve a third party – usually a partner government of the OECD – and adopt commonly used practices by international assistance agencies. As China’s rise becomes palpable to states, international and intergovernmental organizations, businesses, and individuals alike, the question of China’s complex relationship with the global normative order will come increasingly to the fore, and deserves scholars and policymakers’ continuing attention.